Today’s post celebrates a career masterpiece from Lucinda Williams, purveyor of country-soul, rock’n’roll blues – call it what you will – who for the past thirty years has been writing passionate and fiercely confessional songs rich in flawed and broken characters and rooted in the landscape of the American South. 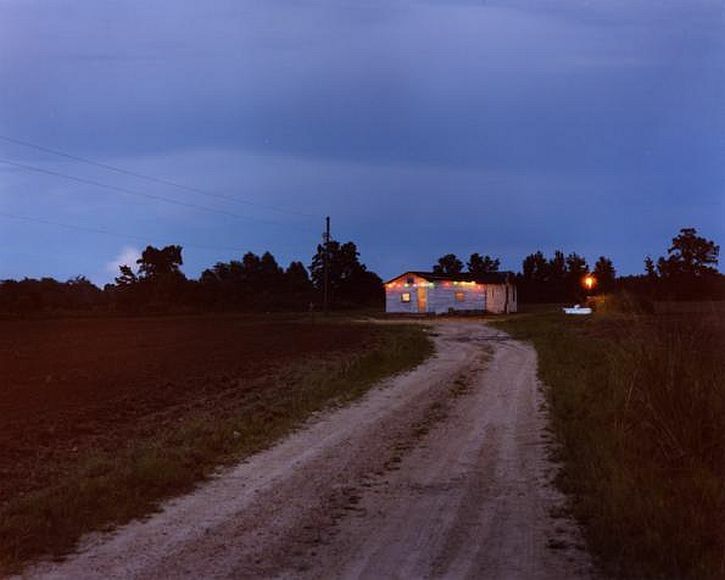 I’ll also trace connections between the album and two photographers whose images also portray in intimate detail the landscapes and people of the South. Give me what I deserve, ’cause it’s my right! Through seven succeeding studio albums Williams continued to record songs of broken relationships and tragic loss, many apparently drawn from episodes in her own life: songs of grief and joy in which she fearlessly exposed herself in moments of rage, excess and self-disgust. Triumphant albums such as Sweet Old World, Car Wheels on a Gravel Road, Essence and World Without Tears were filled with stark responses to flawed men and failed love affairs. Who could forget the startling image, from ‘Ventura’ from World Without Tears of the singer as she ‘lean[s] over the toilet bowl’ and ‘throws up [her] confession’? Both songs were about Frank Sanford, a poet Williams knew in Austin who committed suicide in the early 1990s. 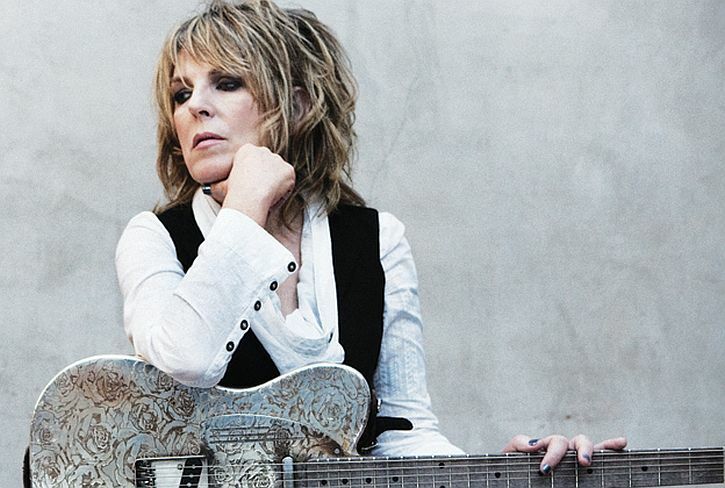 Lucinda Williams’ albums have never been uniformly dark, though neither have they constituted light listening. But the payback for spending time with them has always been her defiant search for meaning and her assertion that it is possible to transcend the sorrow in our lives. There’s poetry in music, but it’s never found in words alone. 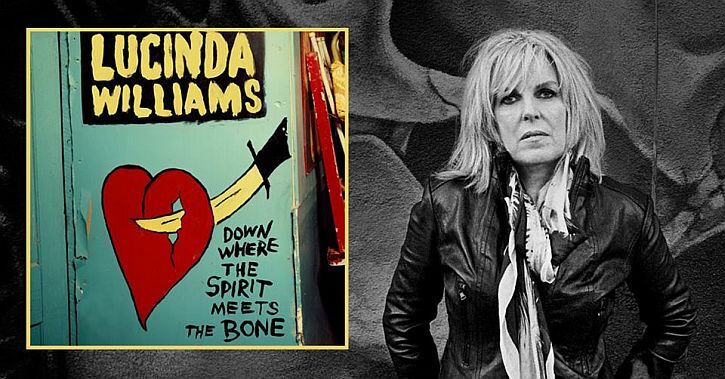 Perhaps no living artist exemplifies this better than Lucinda Williams: She isn’t a poet, and her lyrics are often sparse almost to the point of cliché, but she enlivens them with the specificity of her vocal delivery. Her range is limited, but she uses her voice’s eccentricities to maximum emotional effect. Lucinda Williams isn’t a poet – but her father is, and for the first time she has adapted one of his poems as the album’s opener. 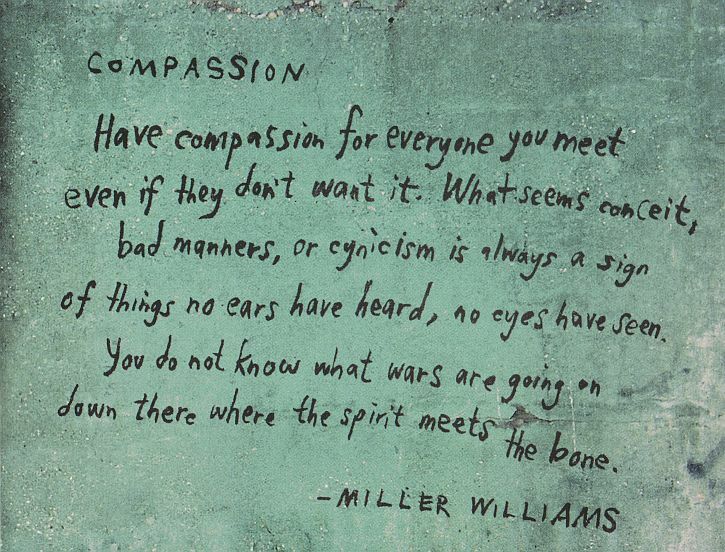 Miller Williams is a poet, translator and editor of some renown in the States with over thirty books to his name. He recently retired from teaching at the University of Arkansas, and is perhaps best known for reading his poem ‘Of History and Hope’ at Bill Clinton’s second inauguration. The rest of the album doesn’t sound like this track at all, but its moral imperative – the importance of empathy – surfaces again and again in subsequent lyrics. The backing musicians on this album are superb – they include Pete Thomas and Davey Faragher of Elvis Costello’s Imposters, Southern soul legend Tony Joe White, jazz guitarist Bill Frisell, Faces keyboardist Ian McLagan, and and Jakob Dylan all making appearances, alongside regulars Greg Leisz, Jonathan Wilson, Pete Thomas and Davey Faragaher. Another song of simple, yet powerful, repetitions is ‘Foolishness’ on which Williams rails against ‘All of this foolishness in my life’. Against relentlessly pulsing piano, bass and electric guitar that eventually builds to a crescendo, the singer rejects all the fear-monger and liars ‘talking trash and offering pie in the sky’ she is beset by. She vows to stand her own ground: ‘What I do in my own time/Is none of your business and all of mine’. She could be talking about intrusions into her personal life, but this has the universal feel of, say, Neil Young’s ‘Rockin’ in the Free World’; I sense that she is raging against intolerance, bigotry and the politics of hate. On ‘West Memphis’ Williams recounts a real-life story of injustice, singing from the perspective of a falsely accused convict, indicting America’s broken criminal justice system with a simple line: ‘That’s just the way we do things here in West Memphis’. 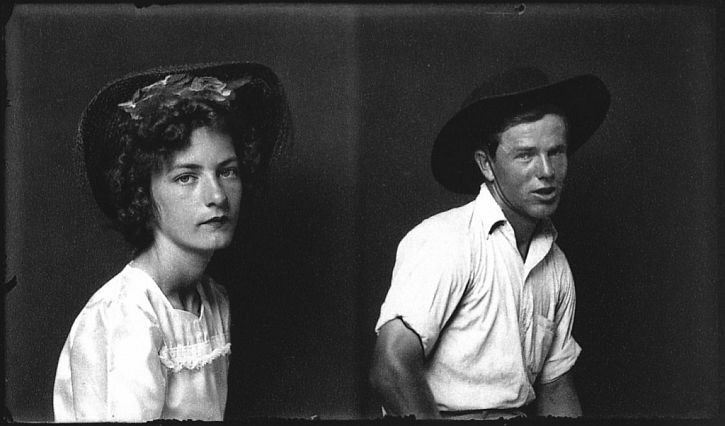 ‘But then,’ she continues, ‘I look at the world and all its glory – and it’s a different story’. Lucinda’s soulful vocal is embroidered with the delicate interplay between the guitars of Greg Leisz and Bill Frisell, drifting and serene. ‘Magnolia’ makes a fine conclusion to an outstanding album – a document in which Lucinda Williams bares her soul to the world, as she has always done. It’s a masterpiece. 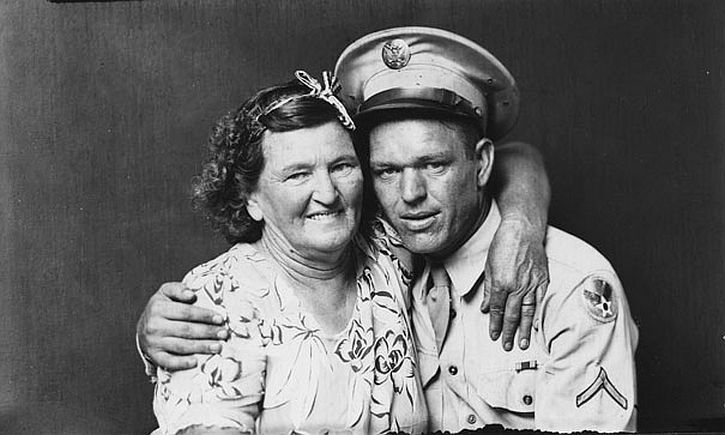 For Down Where the Spirit Meets the Bone, Lucinda returned once again to Imes’ photographs, selecting two for the album cover. 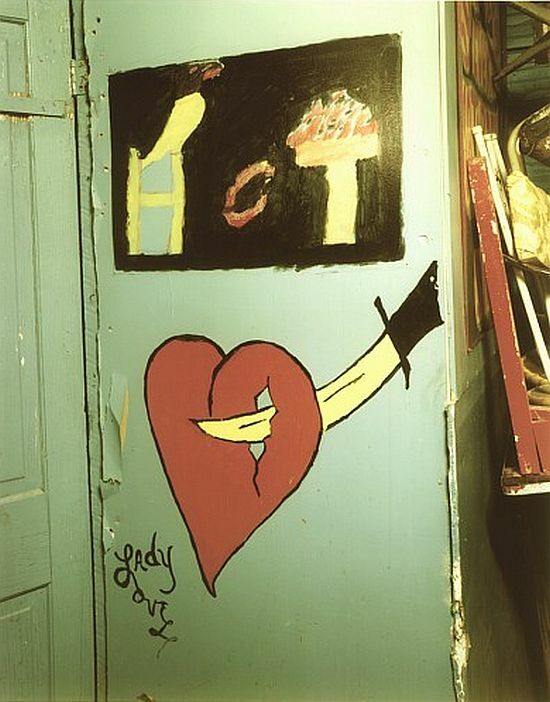 She told one interviewer that she ‘really loved the way colours popped’ and thought the idea of juke joints as places where the spirit meets the bone was a perfect fit for the album’s title. 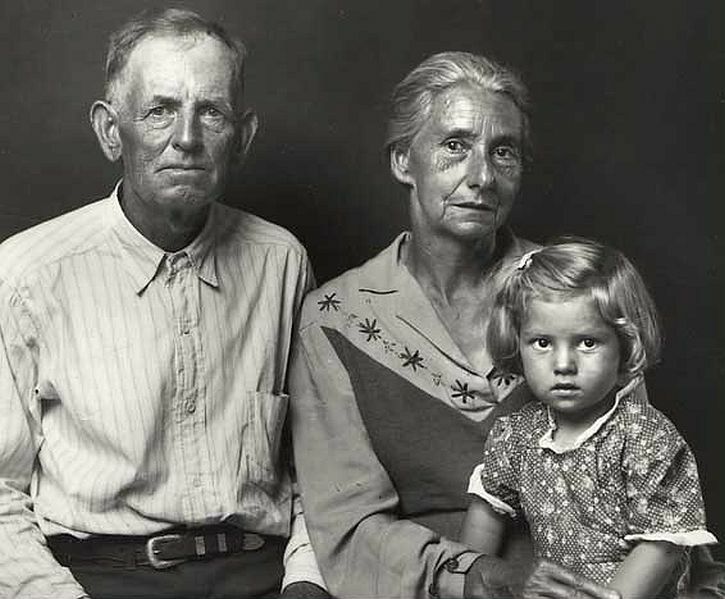 For more than 20 years Birney Imes roamed the countryside of his native Mississippi photographing the people and places he encountered along the way. 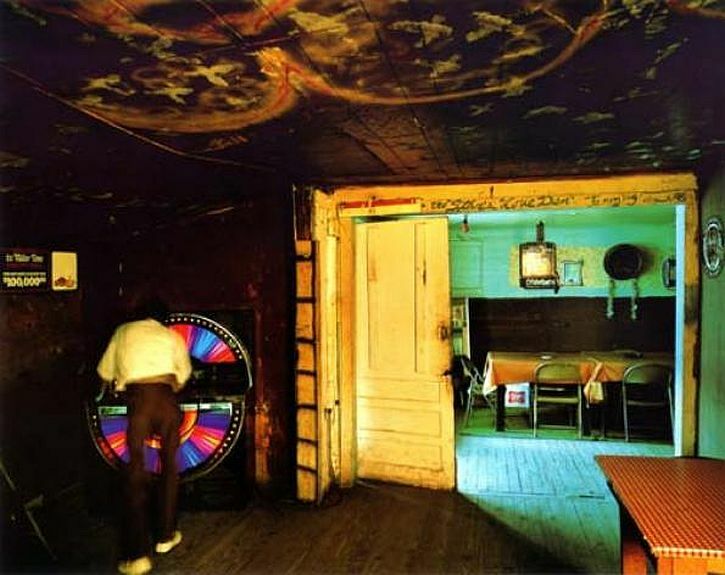 Working in both black and white and colour, Imes’ photographs documented juke joints and dilapidated restaurants scattered across the Mississippi landscape. 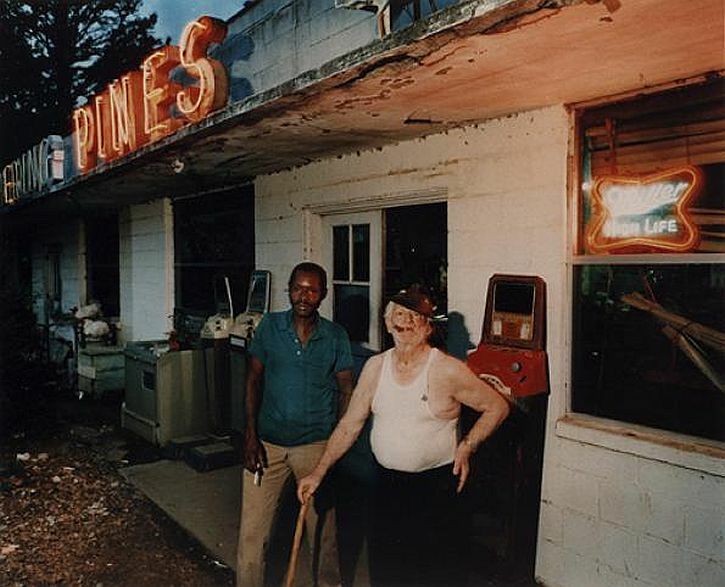 Imes’ photographs have been collected in three books: Juke Joint, Whispering Pines and Partial to Home, and have been exhibited in solo shows in the United States and Europe. Imes owns the local newspaper in Columbus, Mississippi. 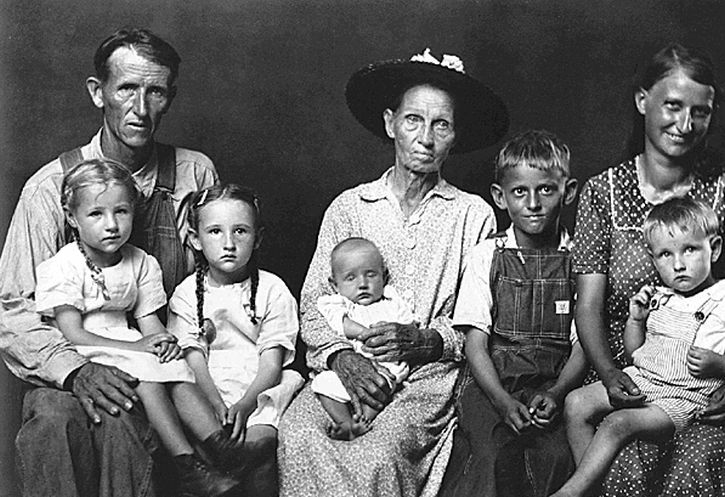 Growing up white in the segregated South of the 1950s, I was only vaguely aware of another culture, another world that existed in the midst of my own. As a child I saw things out of the corner of my eye, but the question of race was one I never had to face straight on. When my high school was integrated in the late sixties, the veil began to part, and I started to see the richness and diversity of a culture that till then had been hidden from me. 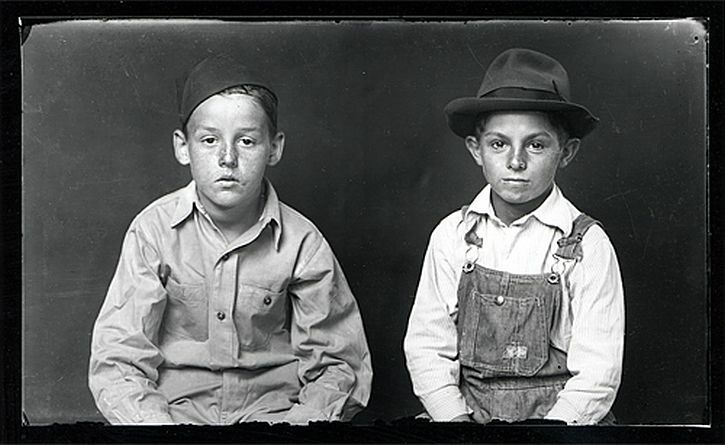 When I began photographing six or seven years later, it was in part my wish and my need to overcome this ignorance that helped make my choice of subject an obvious one. 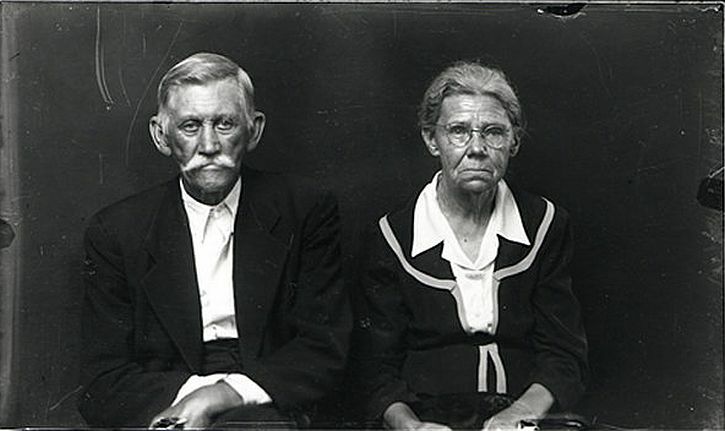 Disfarmer is an unusual name – because Mike made it up, changing his name to indicate a rift with both his kin and his agrarian surroundings. 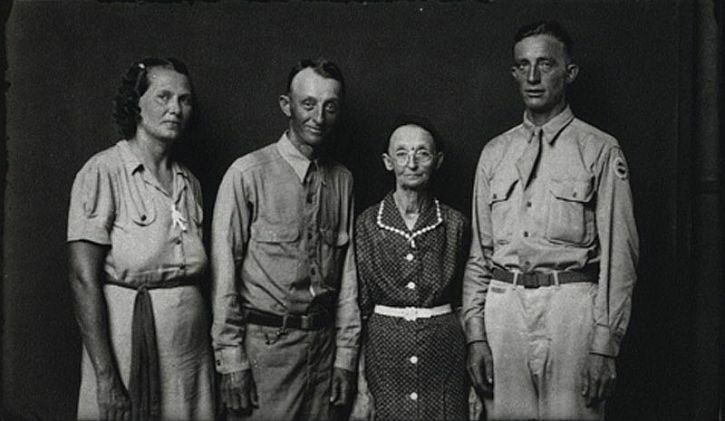 He was born Michael Meyer in 1884 and legally changed his name to Disfarmer to disassociate himself from the farming community in which he plied his trade and from his own kinfolk – claiming that a tornado had accidentally blown him onto the Meyer family farm as a baby. 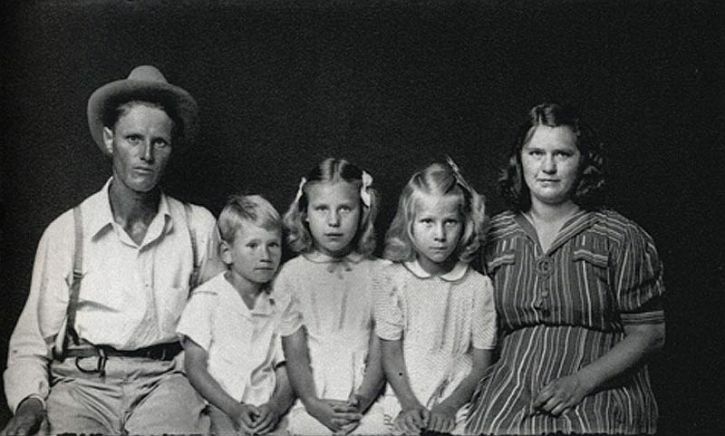 Disfarmer set up a portrait studio in Heber Springs and photographed members of the local community, producing portraits that endowed his subjects with a sense of dignity. 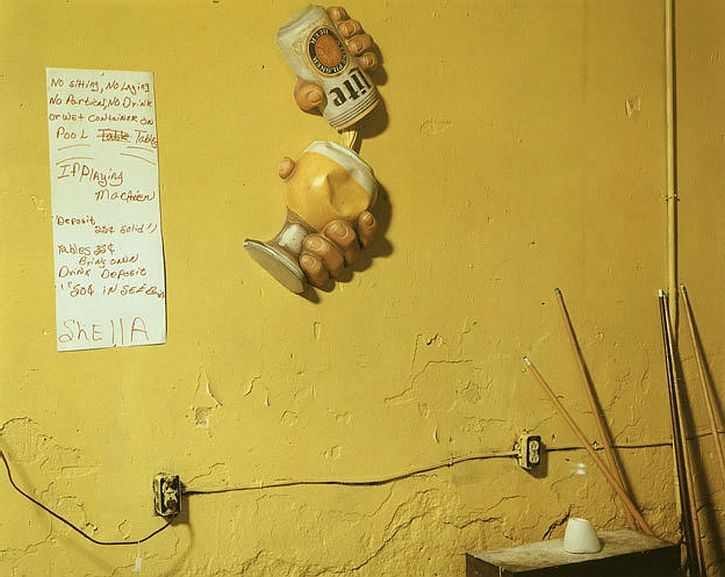 His photographs capture the essence of a particular community at a particular time with solemnity and a touching simplicity. 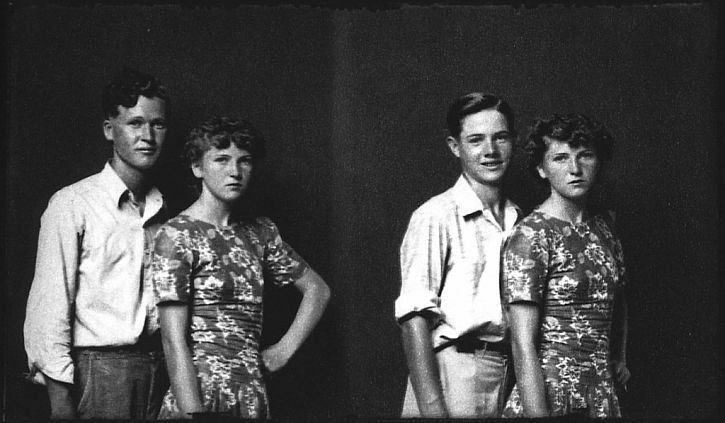 After his death in the 1950s the negatives and glass plates recording his portraits were rescued and eventually became widely known: the full story is here. The tunes on Bill Frisell’s album had been commissioned by the Wexner Center for the Arts in Columbus, Ohio to accompany a retrospective of the work. 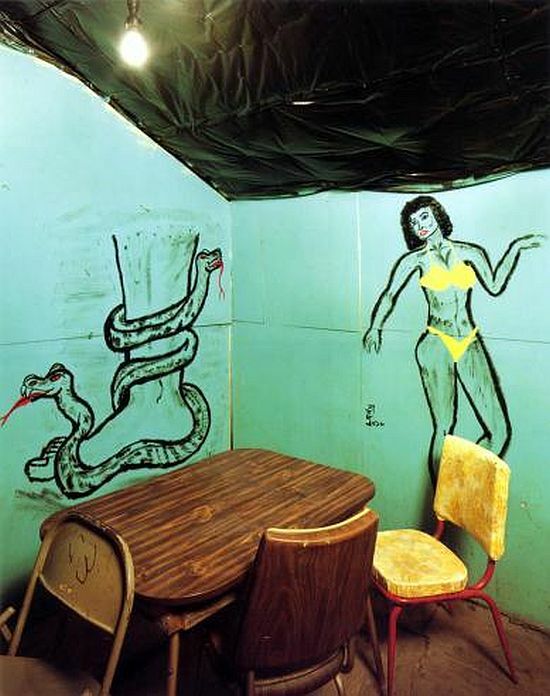 Excellent post, I met Lucinda a few times when she was hanging around LA in the early 2000’s. She did a couple of impromptu short sets at ‘The King King’, Mike Stinson jammed with her and even borrowed my guitar as I happened to have one with me one of those nights. I just remember her being so down to earth which was refreshing in that LA environment, and her being a Grammy winning recording artist etc. She even developed a small crush on my bandmate at the time and once called my house (my bandmate was also my roommate) and she just happened to be on a tour bus with Neil Young! My pal was out at the time and my mind was blown, but we chatted briefly and she was just the sweetest person. I’m always glad to see her keepin’ on and creating top notch art. Cheers for this one! Excellent memories, alphastare! I’m pleased that you can confirm the impression – gained only from a quarter-century listening to Lucinda’s albums and seeing her once in concert (around the time of ‘Essence’) – that she is indeed, down to earth. Thanks for reading and taking time to write. A very refreshing memory and a nice break from the usual LA ego’s that were floating around then. Great post…thanks for making all these interesting connections. Will look for Juke Joint. Say — do you know if the poem by Miller Williams is in his hand? Really love it and am contemplating a tattoo of same. Would be cool if it were. Thanks for reading, kit. There’s no info on the album sleeve as to whose handwriting it is. My guess for what it’s worth is that it is either that of a design artist, or it’s Lucinda’s.